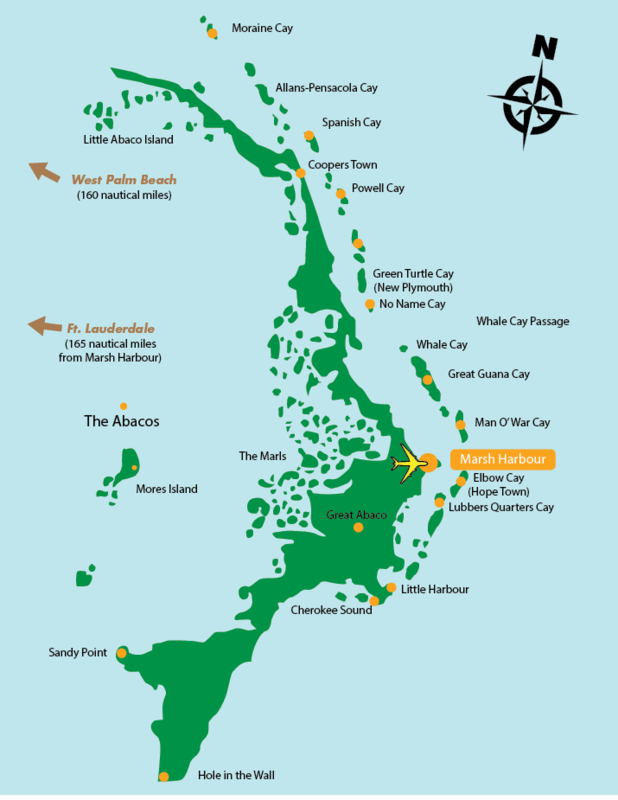 Fly into Marsh Harbour and then take the 20-minute ferry ride to Elbow Cay. 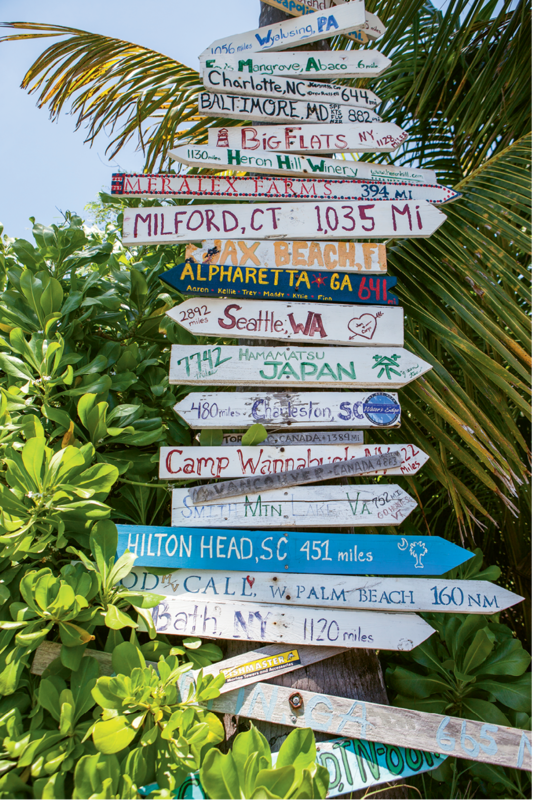 Visitors from around the world attach signs for their own hometowns to posts around the island. 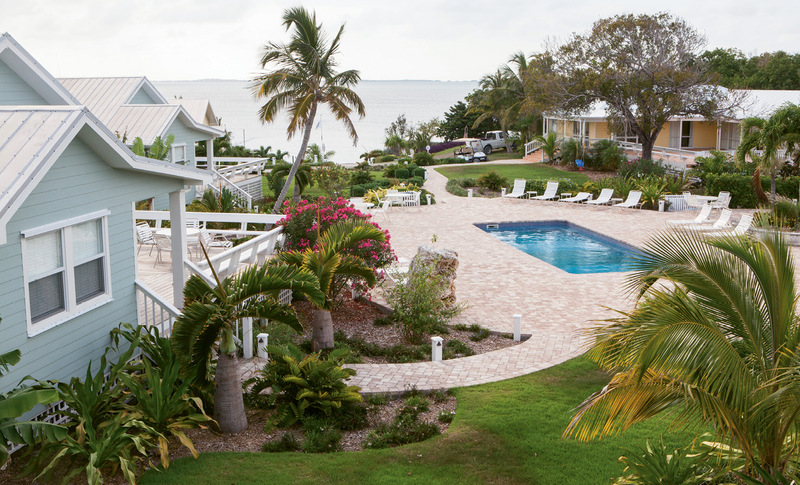 Ring toss is a popular pastime at Lubbers’ Landing, a small island resort that’s a short boat ride from Elbow Cay. 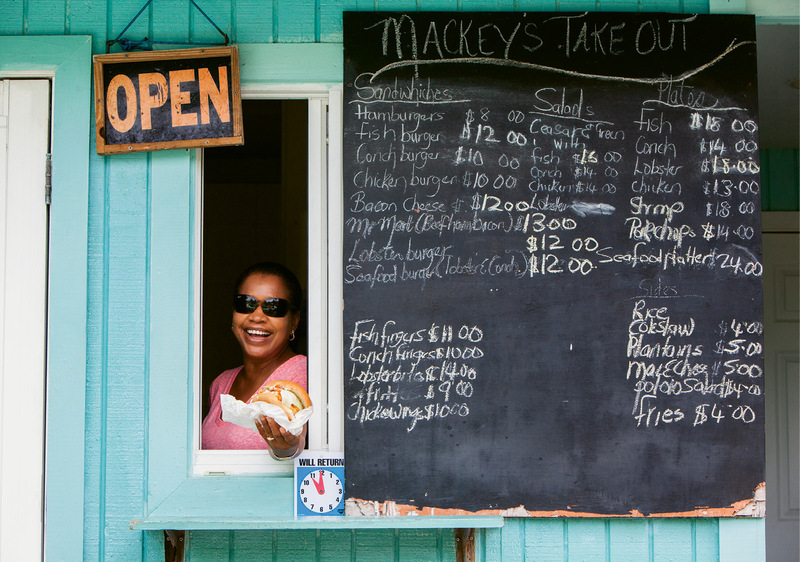 Friendly window service at Mackey’s Takeout, a favorite lunch stop for fresh seafood. 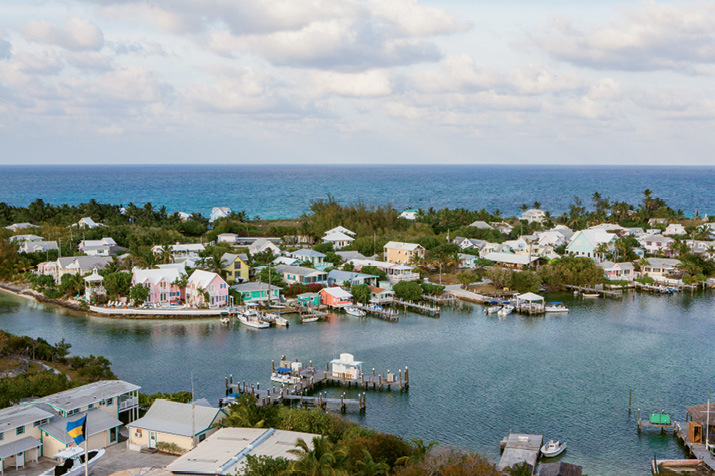 You can get to the Abacos by air, but to reach Hope Town on the sliver of sand known as Elbow Cay—the outermost island of a chain already known as the “Out Islands” of the Bahamas—a sea-level journey is required as part of the itinerary. For Colonial Charleston resident Wyannie Malone, it was a journey entirely by boat. 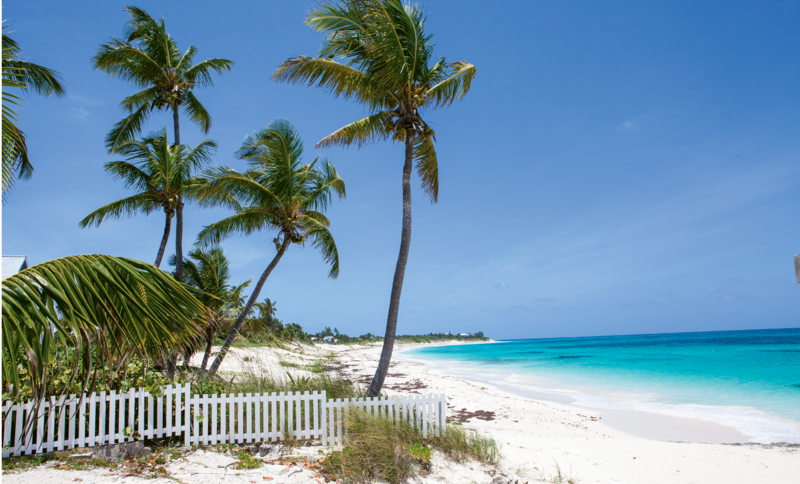 As the Revolutionary War drew to a close in 1783, the British loyalist faced harassment, imprisonment, and even execution, so Wyannie and her children packed up their belongings and headed south to the islands, where they built a homestead on Elbow Cay (pronounced “key”) that soon grew into Hope Town. 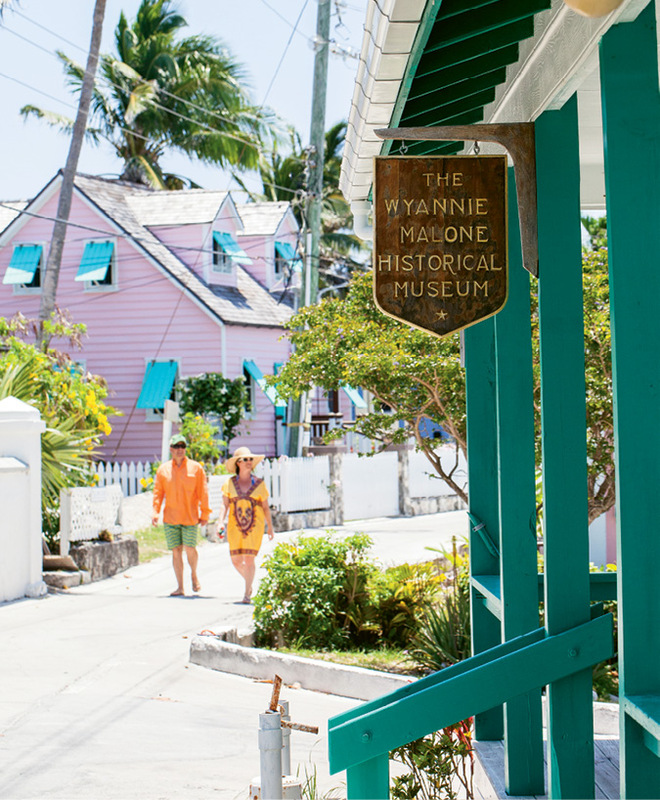 More than two centuries later, Wyannie’s efforts have paid off for her descendants, and countless Charlestonians have followed in her wake, if only for a week of boating, fishing, and relaxing along Hope Town’s coconut-tree-strewn shores. Wander the narrow streets of the settlement, and you’ll quickly discover hints of the Holy City—a construction crew member wearing a Citadel hat left behind by a guest; a honeymooning couple from Mount Pleasant at the village coffee shop—or head about halfway down the island to the Firefly Sunset Resort, where the folks behind the Wadmalaw-based distillery have manifested the Abacos and Charleston’s shared devotion to a leisurely lifestyle based around time on the water. The 50-minute flight from Miami to the islands’ hub, Marsh Harbour, crosses an intricate patchwork of sandbars and mangrove-covered islets. 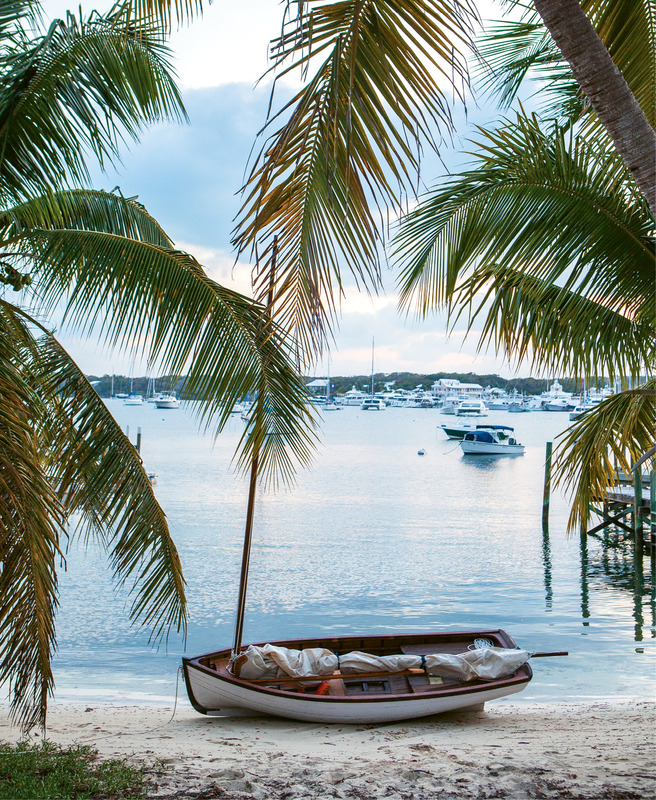 One could spend a worthy week’s vacation there on Great Abaco Island: within an hour of clearing customs, we’re paddleboarding from the shores of the Abaco Beach Resort, before sampling our first plate of cracked conch at the local soul-food joint. 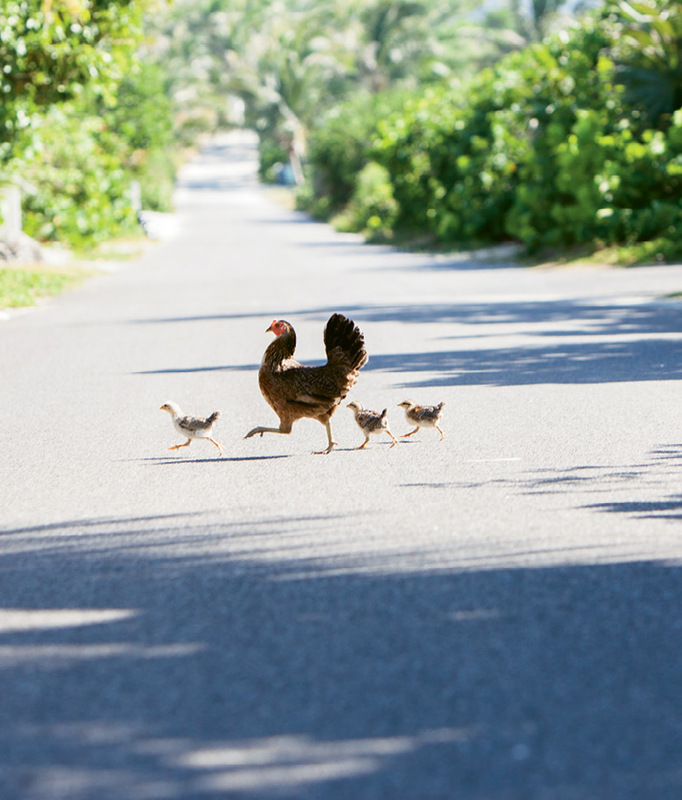 But it’s the next morning, when we board a ferry for the 20-minute ride to Elbow Cay, that we truly settle into the slower pace of life here on the islands. 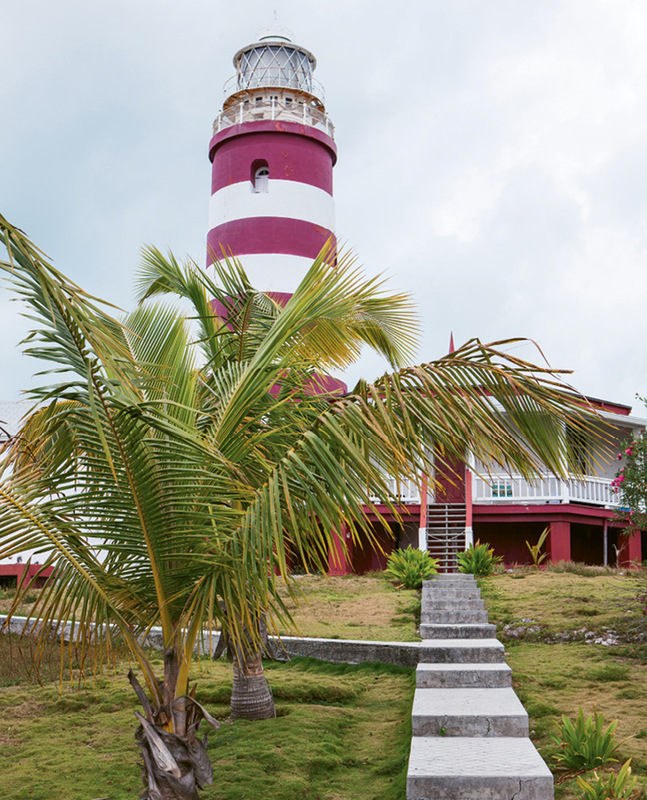 Hope Town’s candy-cane-striped lighthouse marks our destination, presiding over a picturesque harbor full of moored sailboats from around the world. Arriving at the dock, we’re handed the keys to our wheels for the week—a gas-powered golf cart (no cars allowed for visitors on Elbow Cay). 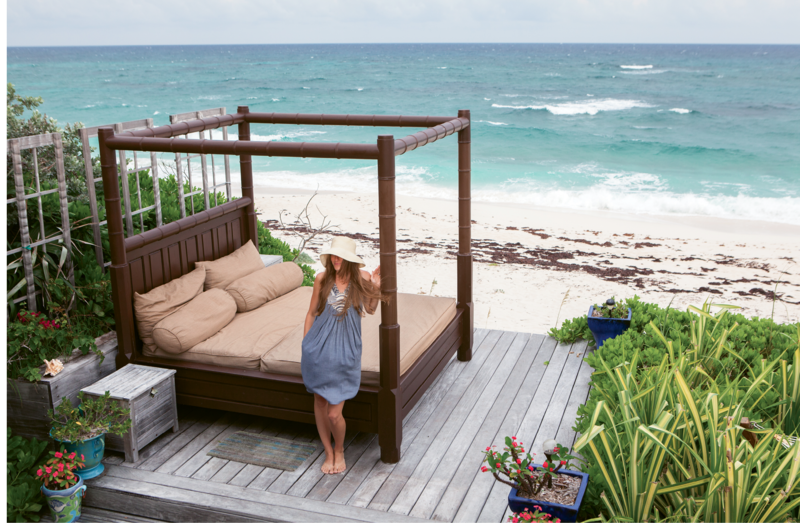 We head down a sandy shore-side path to our suite at Leapin’ Lizards cottage, a beachfront home owned by Mount Pleasant attorney Mark Mason, and are soon reclining on a sprawling outdoor bed perched high in the dunes, overlooking the azure Atlantic. 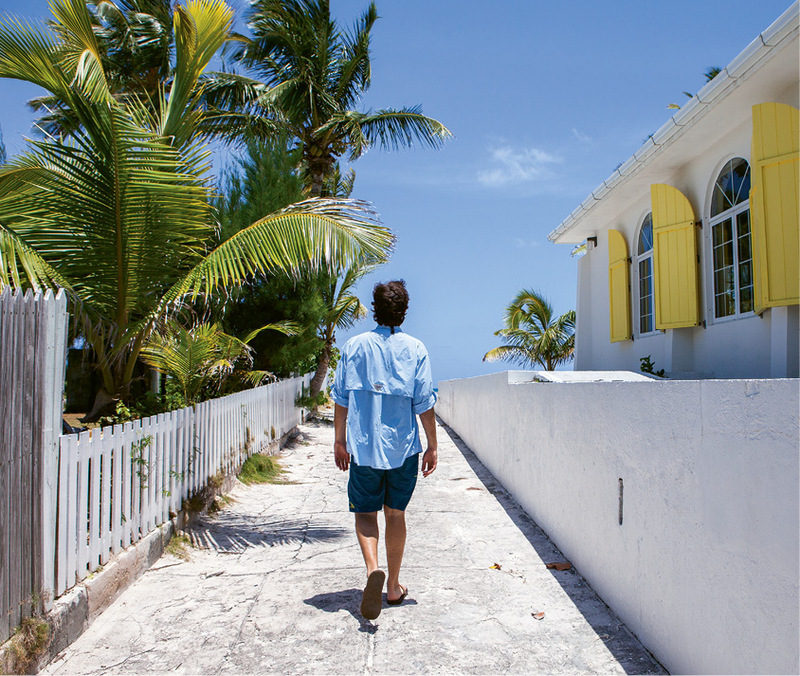 Strolling through town, it only takes a few minutes to understand why the locals refer to Marsh Harbour as “the mainland.” From anywhere in Hope Town, the waters of the Atlantic are just steps away. 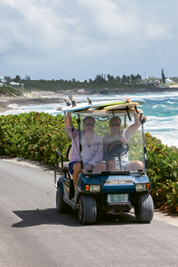 The only golf to be found is an 18-hole disc course at the interior of the island’s widest point (barely a quarter mile). There are no sprawling mansions, yet even the tiniest clapboard cottages bear a tidy sophistication. Many of the brightly colored homes—built from local Abaco pine—have withstood a century of hurricanes, including Floyd in 1999 (an event locals still talk about like we do Hugo in the Lowcountry). 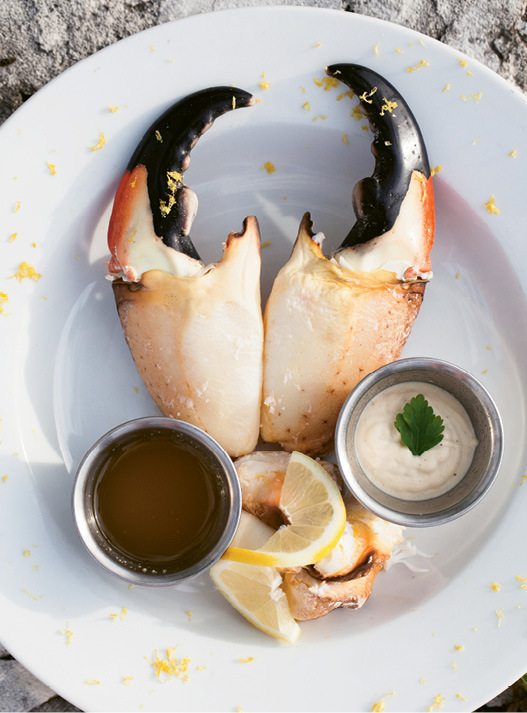 For visitors like us, the Abacos’ true treasure lies in time on the water and an abundance of local seafood. 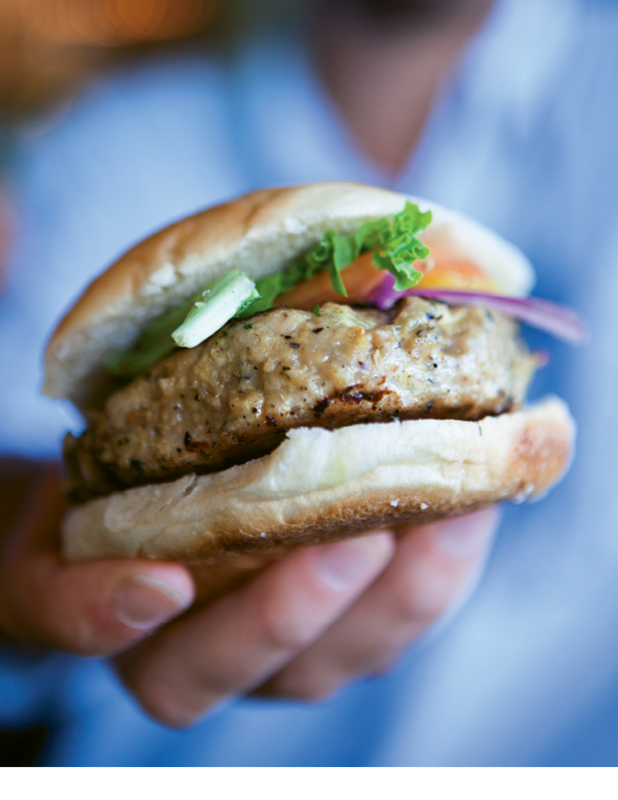 At Lubbers Quarters Cay—a quick boat ride from the idyllic, appropriately named Tahiti Beach at Elbow Cay’s southern end—we devour yellowfin tuna burgers and grapefruit margaritas squeezed into Mason jars at a cozy, open-air bar. We happily chat up the merry band of boaters who arrive in jovial spirits on a day of island hopping, making several Charleston connections as we while away a breezy, sunny afternoon. That evening, we visit Firefly, where in true Charleston style, luxury and refined cuisine coexist with flip-flops and bathing suits. Diners arrive by boat or golf cart and sip cocktails at the outdoor bar. 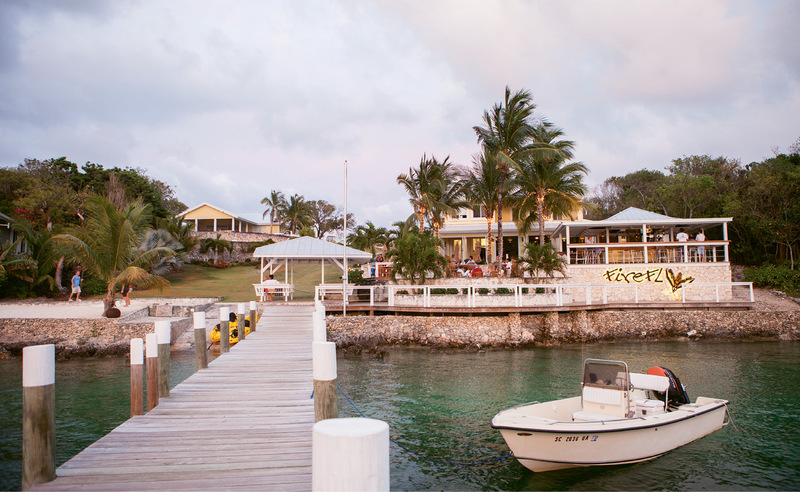 We grab a table near the dock and watch the sun set over the Sea of Abaco while we savor sesame-ginger tuna tataki and a piccata of hogfish harvested from Elbow Cay’s inshore reef. 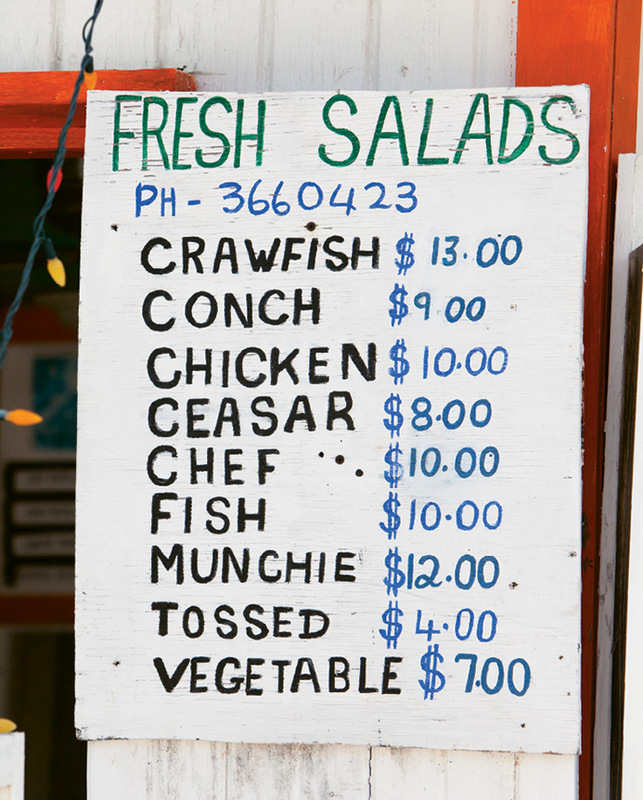 Memorable meals can also be found in unexpected places on Elbow Cay. One favorite among locals is Papa Nasty’s BBQ, a hilltop takeaway trailer where wahoo, pork, and chicken are flavored with smoke from native sea grape and buttonwood trees harvested only steps away. 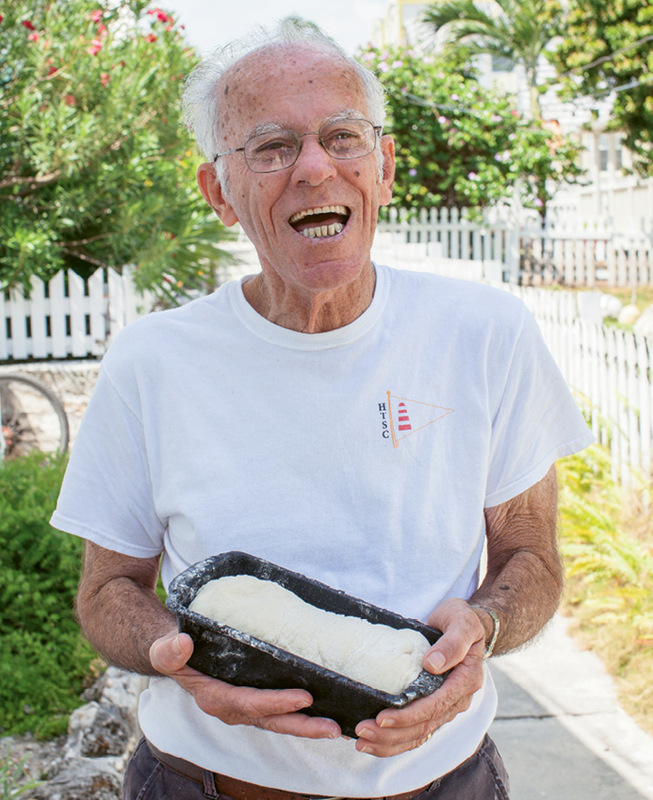 The island’s best dessert can be found just down the path, where every afternoon, 76-year-old Marcel Sawyer churns homemade coconut jelly ice cream that he doles from a wooden barrel. Sawyer’s ice cream is made all the better by the yarns he spins while customers sit in the shade and lap up his cool creations. 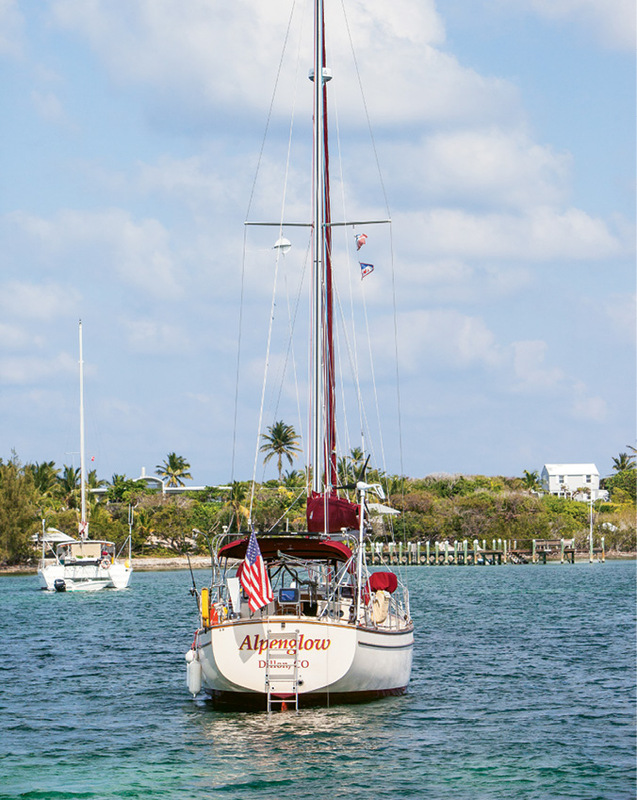 Born on Elbow Cay, Sawyer built his first skiff at age 10 to sail out and harvest conch and fish for his mother to cook. 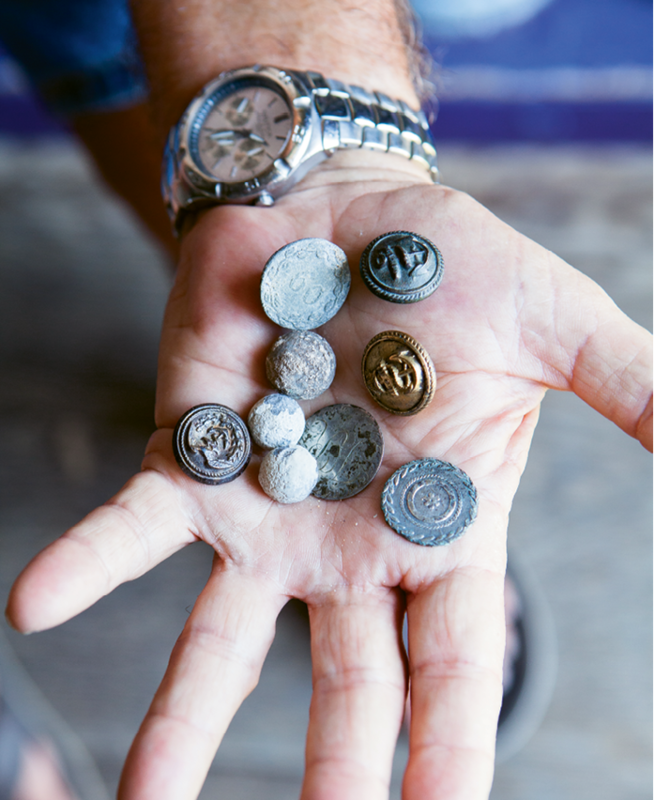 Ask him how he got his nickname, “Red Boy,” and you’ll hear a tale that begins with wild hog hunts on neighboring cays and leads to a history of the lucrative “wracking” industry (salvaging ships that ran ashore on the island). 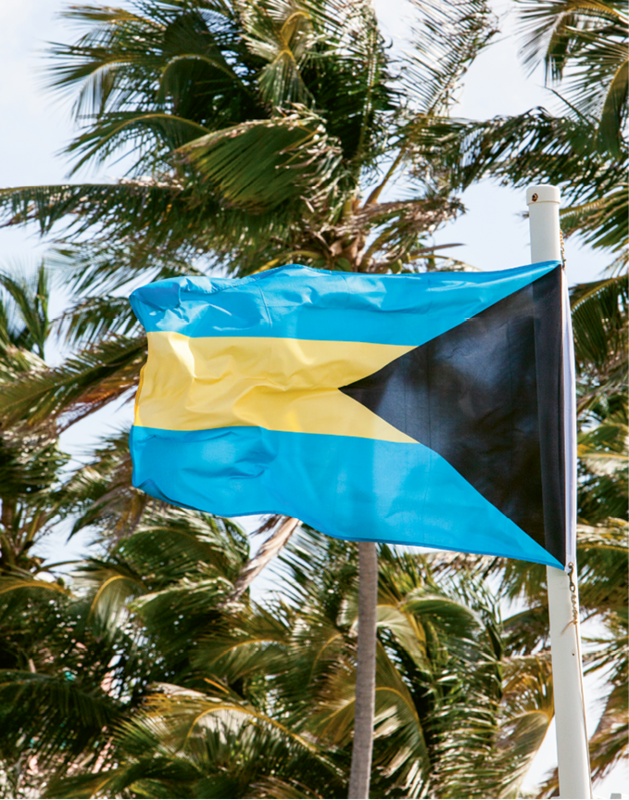 The original question may never be answered, but plenty of knowledge is imparted as Sawyer recollects a childhood when 1,500 people lived on the island year-round, as opposed to just a few hundred now, supplemented by a steady stream of visitors. Every lifelong local seems to have a nickname. Maitland “Bonefish Dundee” Lowe is known as the island’s premier fishing guide, reliably hooking rookies into three-foot bonefish that “give as much fight as a 200-pound marlin.” When he doesn’t have a charter booked, Lowe can be found in his boat pulling a seine net for bait or simply cruising to check on his favorite spots. 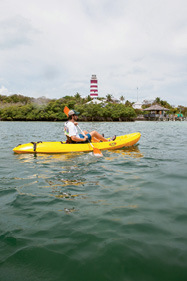 Fishing is a big draw for visitors—with 90 feet of water a half-mile off of Elbow Cay, one might argue that it’s easier for a Charlestonian to hop a flight to go deep-sea fishing in the Abacos than to weather the early morning, three-hour boat journey from Charleston Harbor to the Gulf Stream. 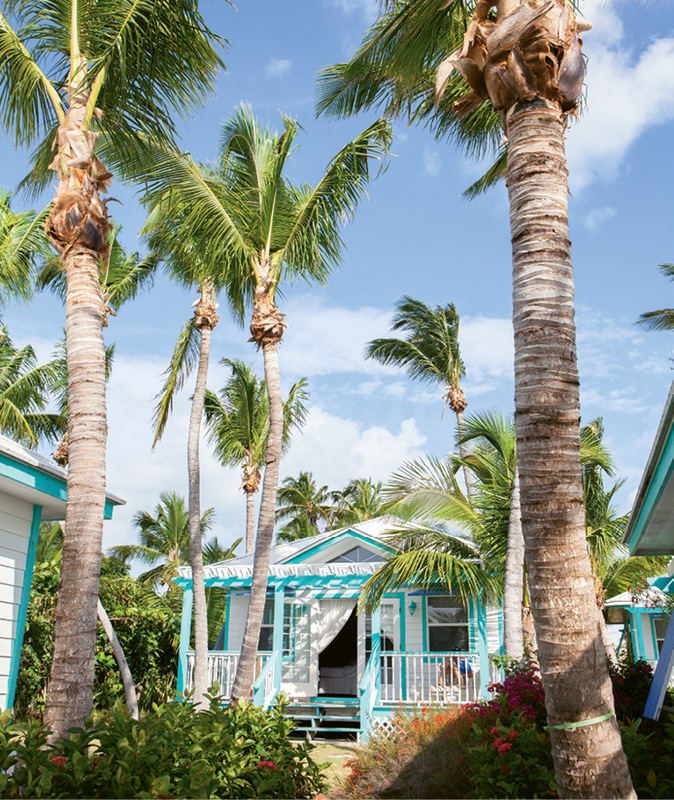 Whether you come for the fishing, the food, or just lazy days with no distractions, the Abacos possess a special appeal that encourages repeat visits. 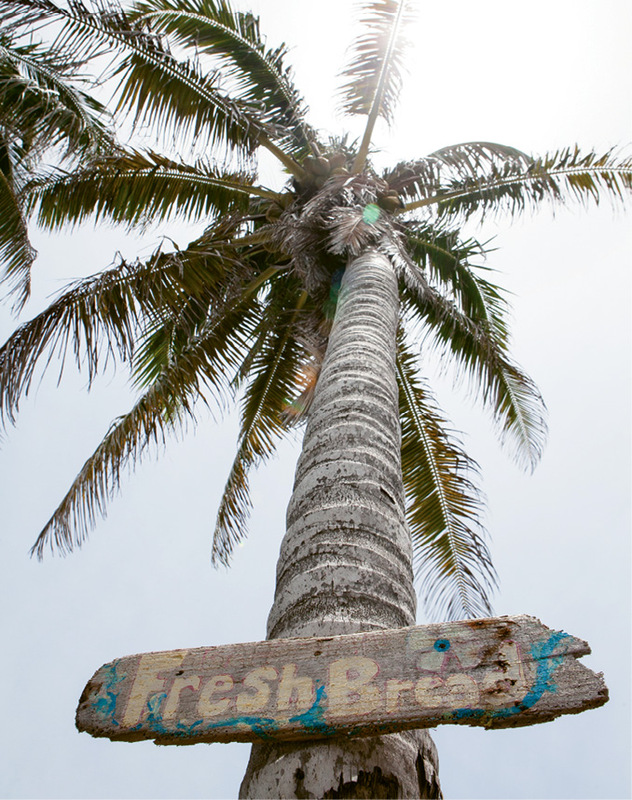 Nearly every vacationer we meet either considers these islands their second home or makes an annual pilgrimage. This isn’t a place with kitschy “Drinking town with a fishing problem” T-shirts. There is no commercial district. Rather, restaurants and shops are naturally interwoven into a village tucked gently between a quiet harbor and the wild sea. Visitors offer a taste of the outside world to the locals, and they, in turn, provide a reminder of how simple a life lived close to the water can be. 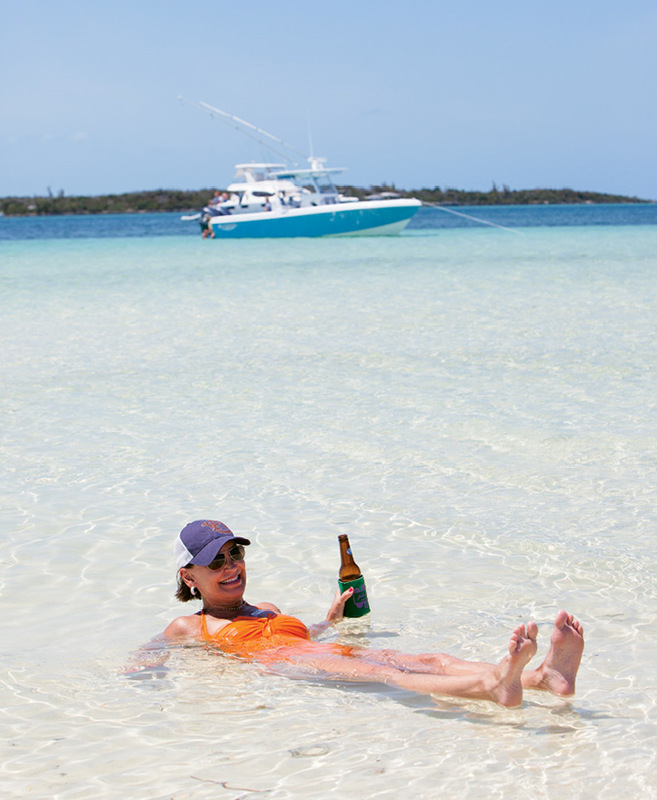 Unlike loyalist Wyannie Malone, you can always go back home, although like many Charlestonians who have followed her to the Abacos, you’ll feel a powerful urge to put down roots in this thin, carefree band of sandy soil.